North Carolina Community Foundation’s statewide headquarters in Raleigh will relocate from Six Forks Road to a new state of the art office space at 3737 Glenwood Ave. The headquarters will be the fourth and largest office NCCF has occupied in its 28-year history. The new space will enable the foundation to continue expanding its services following unprecedented growth in recent years. In the past ten years, NCCF assets have more than doubled from $104 million to $222 million and grantmaking has more than tripled from $32 million to $116 million. The office will feature a new philanthropy center with cutting edge conference facilities and expanded technology to serve NCCF’s nonprofit partners, fundholders and board members across the state. NCCF will move in October and is planning to hold an open house sometime in December to welcome the community to their new space. 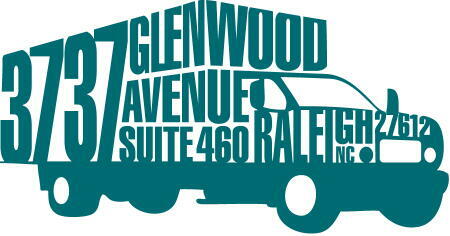 The new address is 3737 Glenwood Ave., Suite 460, Raleigh, NC 27612. NCCF will lease approximately 14,500 square feet of Class A commercial space from Highwoods Properties. NCCF is working with Steve Witenauer of Solutions PDM for project management, Matthew Cook and Gardner Gibson of Davis Moore Corporate Real Estate Advisory Services, McDonald York Building Company for construction, Little Diversified Architectural Consulting for design, CBI for furniture and TROSA for moving services. “We’re thrilled the North Carolina Community Foundation, a leading charitable resource provider, has chosen to relocate to our property at 3737 Glenwood Ave.,” said Highwoods Properties Director of Leasing John Hogan. Please note: Our email and phone systems may be temporarily down during the move period of Oct. 6 - 11, but we will get back to you as soon as we can!